John Mucciarone, Senior Project Manager, ZeroEnergy Design, will share his experience in historic retrofits at an upcoming lecture organized by Passivhaus Maine. The event will also include architects Oliver Klein of 475 and Jeremy Avellino of Bright Common. The lecture will address major challenges such as exterior appearance, preservation of original features, the complexity of insulating brick exteriors, ventilation, installation of delivery systems, and sourcing of materials that affect the renovations of historic buildings in Maine and other communities. John will present his case study of a Victorian-era row house in Boston’s South End neighborhood. 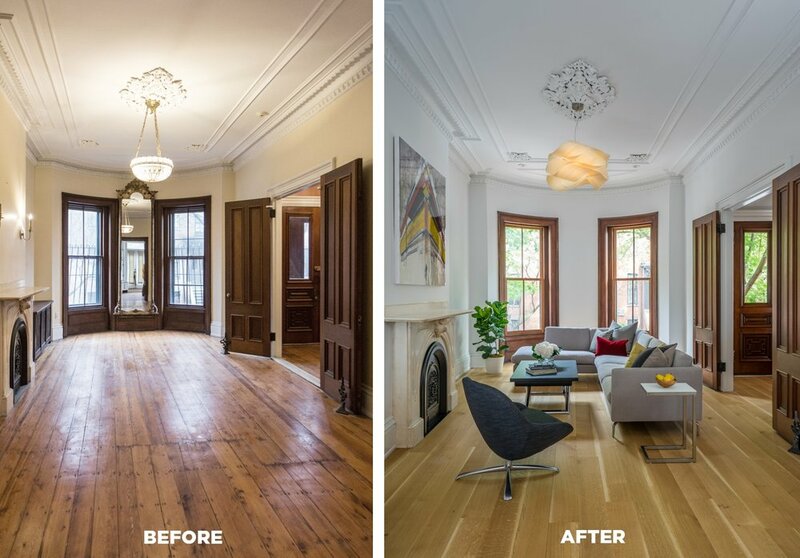 The historic brownstone was redesigned by ZeroEnergy Design’s experts for modern living and energy efficiency while preserving its original architectural details. The event will also have a Q & A session for the audience to interact with the speakers. John has over 19 years of experience as an architect and has worked on the design and construction of single-family residences, multi-family housing, small institutional buildings, and academic buildings. He is a Certified Passive House Consultant and a LEED Accredited Professional. Passivhaus Maine is a non-profit organization committed to decreasing carbon emissions, dependency on fossil fuels, and the costs for winter heating in Maine. 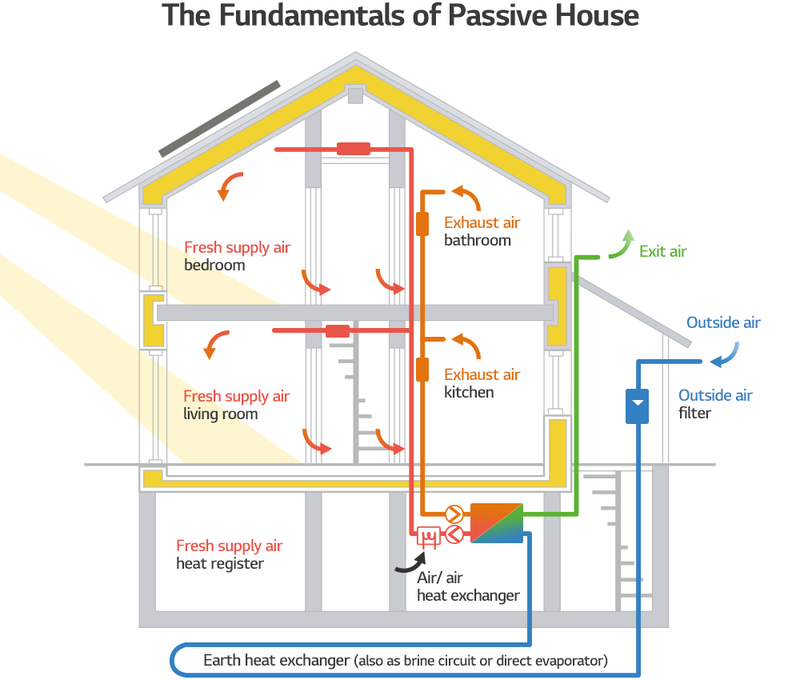 It works to support the passive house industry and community in Maine, North America and internationally. Stephanie Horowitz, President of Passive House Massachusetts, welcomes the crowd to Boston at the opening night (last night) of the 2018 PHIUS Passive House Conference. (Sold out). The newest Passive House case study book, titled From Small to Extra Large, Passive House Rising to New Heights, has just been released and is free to download! Great Passive House cases of all scales are included, from single family homes to large multi-family buildings. ZeroEnergy Design (ZED) is pleased that LG, the South Korean multinational manufacturing company offering air source heat pumps and other electronics, just released an article about high performance homes and buildings entitled: "Passive House Is Creating a New Standard for Efficiency". ZED encourages widespread adoption of Passive House levels of building performance, and is pleased to cooperate with LG in educating the company's audiences. ZeroEnergy Design is a proud sponsor of Passive House Massachusetts! Congratulations on another fabulous educational event. ZED is pleased to announce that 'Passive House Details: Solutions for High-Performance Design' is now available for pre-order on Amazon or direct from Routledge (the publisher). We're excited to see that ZED's Passive House Retreat made the front page of Dwell magazine's website today! The largest Passive House conference in North America, the NAPHN16 Conference & Expo, included a conference program book: Passive House Accelerates which is available online. The book provides an overview of the conference and the people, companies, and institutions making Passive House a reality today, including an interview with ZeroEnergy Design's Jordan Goldman. Passive House Massachusetts (PHMA) hosted an outstanding symposium at the end of 2015! Photos are: on left, Matthew A. Beaton, Secretary, Executive Office of Energy and Environmental Affairs in Massachusetts speaking, while on right, Stephanie Horowitz of ZeroEnergy Design (Symposium Chair) looks on. School Planning and Management magazine cover's the Hollis Montessori School, a certified Passive House School in southern New Hampshire. The article is titled "Energy-Efficient Solution Helps Keep School Warm".